One Stop Locksmith is an extremely experienced locksmith that is available for all of your security and locksmith needs. We can assist you with automotive, commercial, residential and electronic locksmith, security and safety issues and concerns. If you live in Mount Vernon NY, look no further than One Stop Locksmith. Many customers depend on us for automotive and residential locksmith services, but we are also experienced in many different areas including commercial and electronic security. We know that keeping their home, property and family safe is the number one priority for most of our customers. That’s why One Stop Locksmith can help customers in Mount Vernon NY with their residential security concerns. Our locksmith professionals can install brand new, state-of-the-art secure locks to safeguard your residence. You will feel safe and secure whether you are home or out of town. Our experienced locksmith technicians can install security systems, entry doors, high security locks and more to protect the safety and security of your home in Mount Vernon NY. 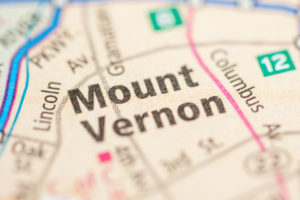 We can help you with all aspects of locks and safety at your Mount Vernon NY residence. For commercial locksmith services in Mount Vernon NY, One Stop Locksmith can take care of all your business and commercial needs. We can ensure the security of your business location. Our list of locksmith services includes commercial security systems, entry doors, high security locks, hardware, high security cylinders and much more. Our experienced locksmith technicians will install the locks and system of your choice to protect the safety and security of your commercial business in Mount Vernon NY. We can also assist you with any automotive locksmith services that you may need in Mount Vernon NY. When you are locked out of your vehicle, it is often a scary, frustrating and inconvenient situation. One Stop Locksmith technicians can handle any emergency automotive situation that you may find yourself in. Whether your key broke in the ignition or your keyless entry suddenly stopped working, we can help you. We offer many automotive locksmith services for our Mount Vernon NY customers including problems with computer key chips, keyless entry remotes, lockouts, ignition repair and trunk lockouts. Call the locksmith at our Mount Vernon NY location and we can get you back on the road again! This experienced locksmith can also provide you with any electronic locksmith solutions that you may need. We can provide installations and solutions for access control, card or fab access, buzzer systems, and more. The One Stop Locksmith company is the locksmith expert for residents and business owners in Mount Vernon NY. We are honest, reliable and offer excellent customer service to all of our customers. We are fully licensed and insured and have an A+ rating with the Better Business Bureau. Call us for any locksmith services that you may need in Mount Vernon NY. For a reliable and trustworthy locksmith, you can count on One Stop Locksmith for all of your locksmith needs. For experienced locksmith services call us any time at 718-548-0666 or 914-966-0666. Or call 888-599-LOCK (5625) .